I decided to go into veterinary medicine when I was a young girl because I had a passion for animals and medicine. What better way to combine the two than to become a veterinarian! 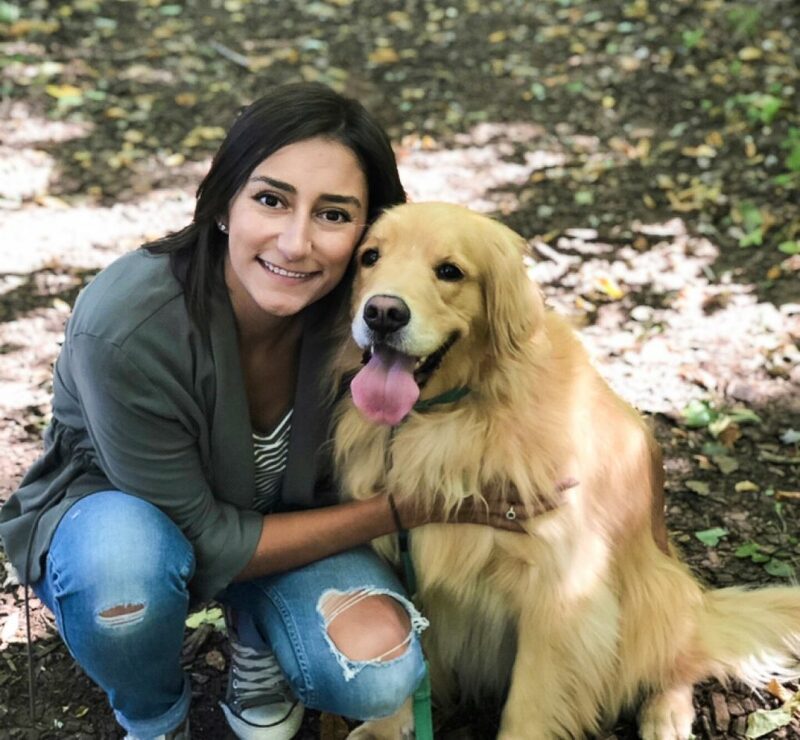 I completed my undergraduate degree in 2014 at the University of Guelph with honours in Biomedical Science and started my veterinary education that same year at the Ontario Veterinary College. I joined the clinic in June 2018. My favourite areas of veterinary medicine are behaviour, surgery, neurology, and preventative medicine. My childhood dog was a Golden Retriever named Katie, and it was her that made me first interested in a career in veterinary medicine. I love being able to build relationships with owners and their pets, working with them to solve the mysteries behind why their pet is feeling or acting the way that they are. The amazing support staff! I am an avid soccer fan, and I love to watch and play soccer in my free time. I have a three-year-old Golden Retriever named Ellie, who I love to take for hikes and snuggle with while watching Netflix.